Hi everyone....how was your week? 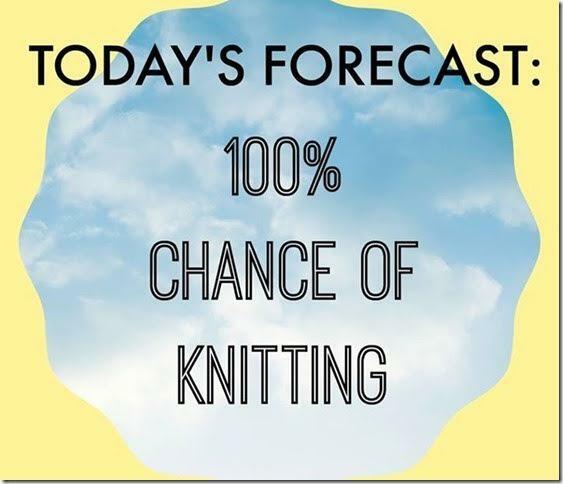 Mine was great! 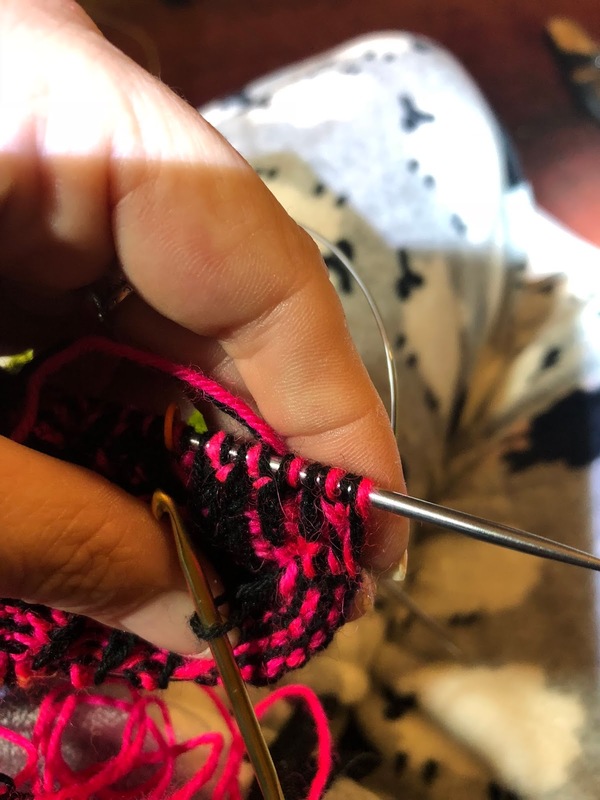 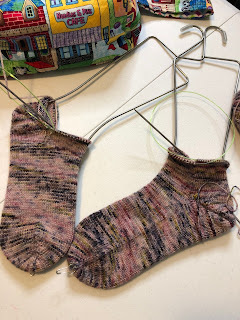 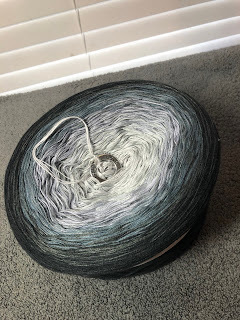 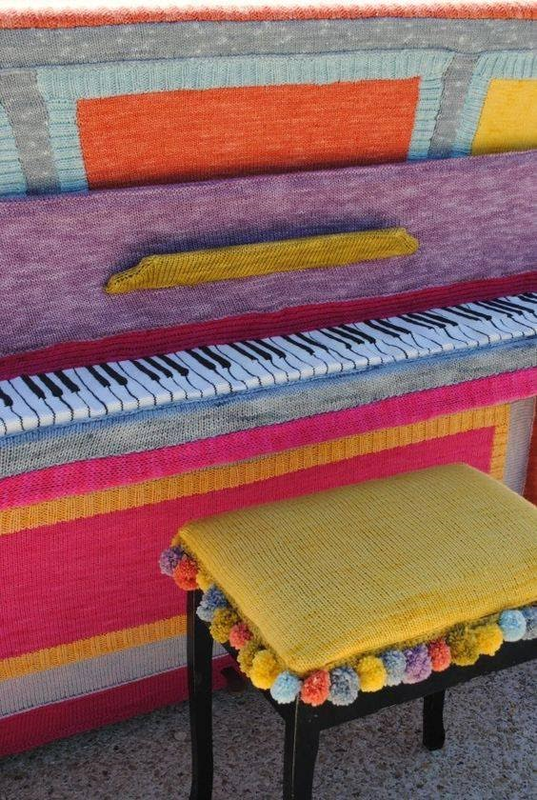 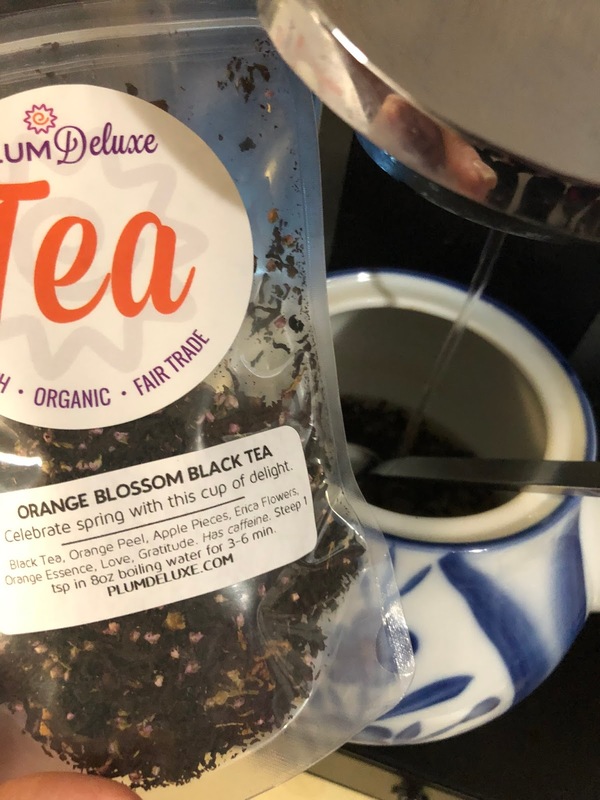 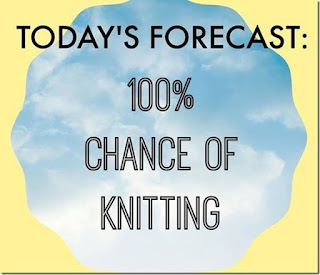 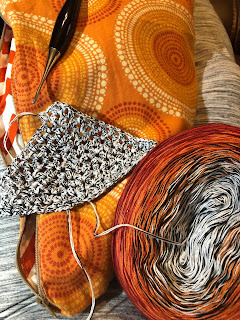 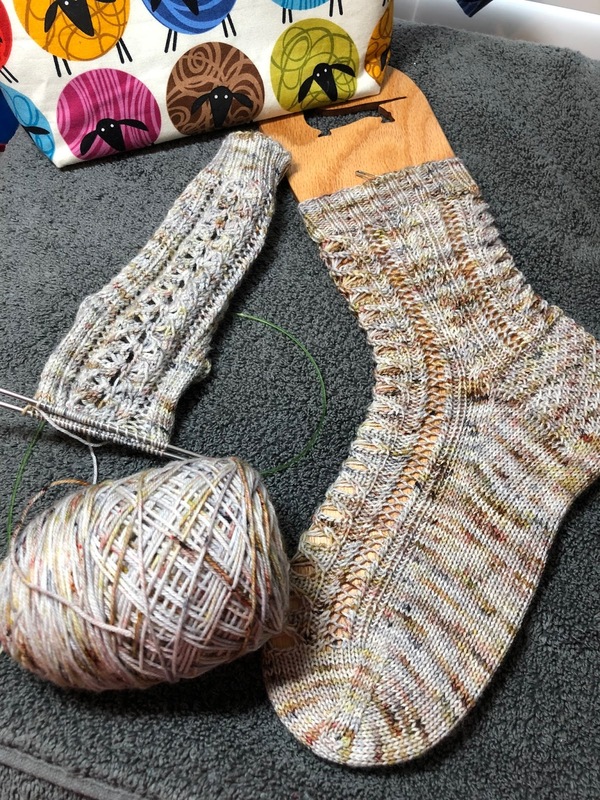 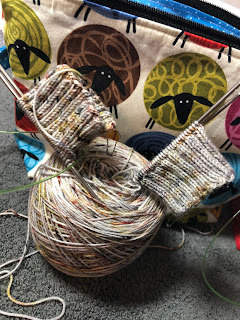 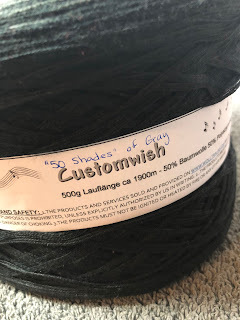 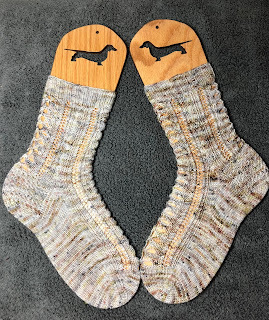 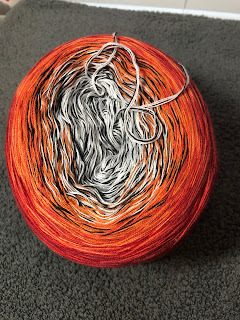 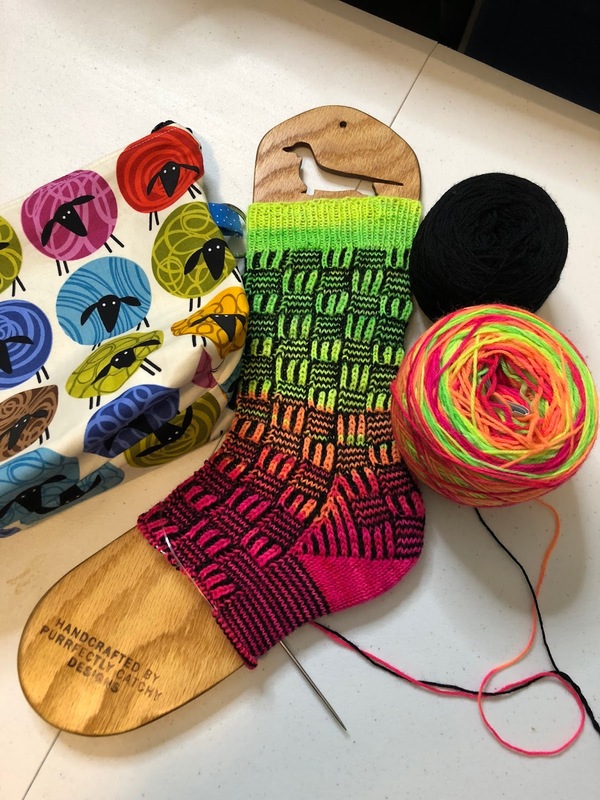 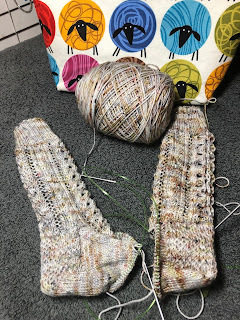 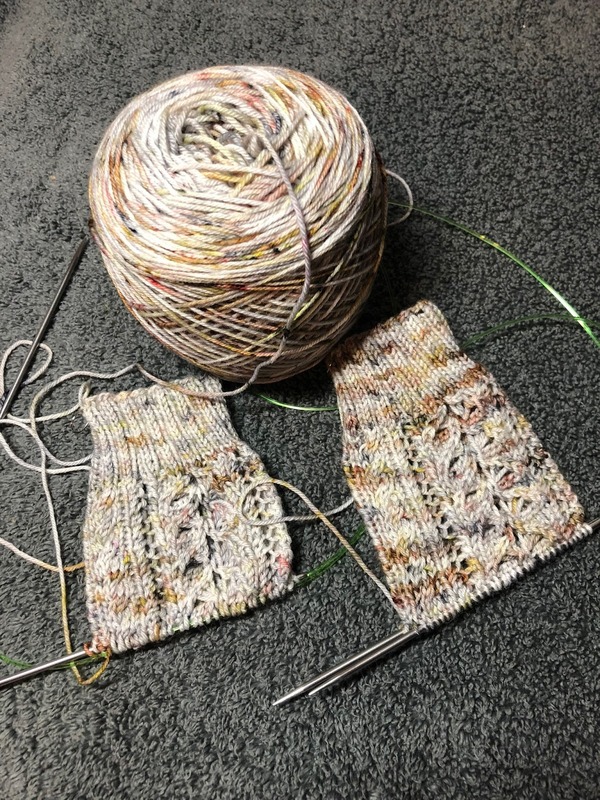 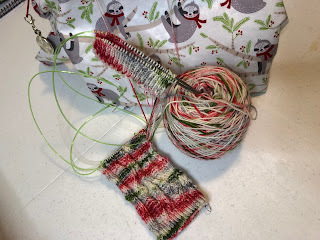 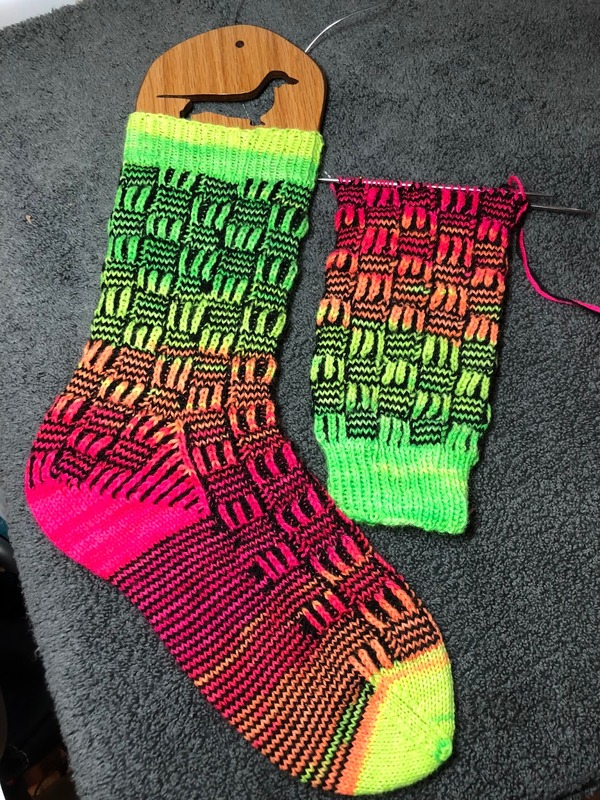 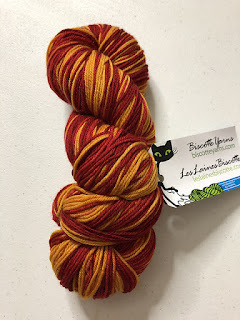 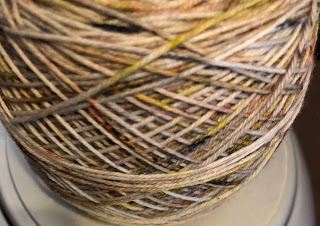 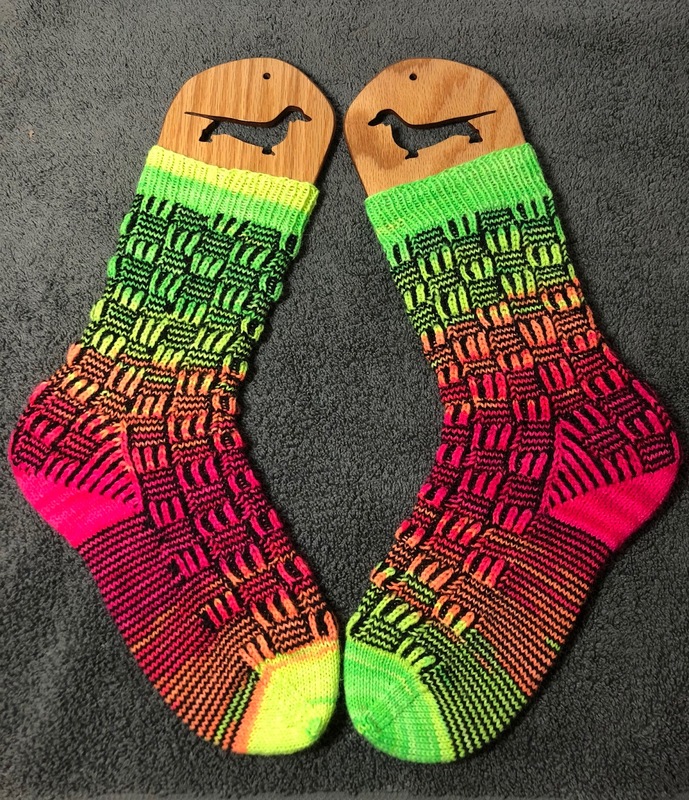 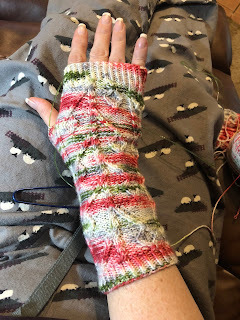 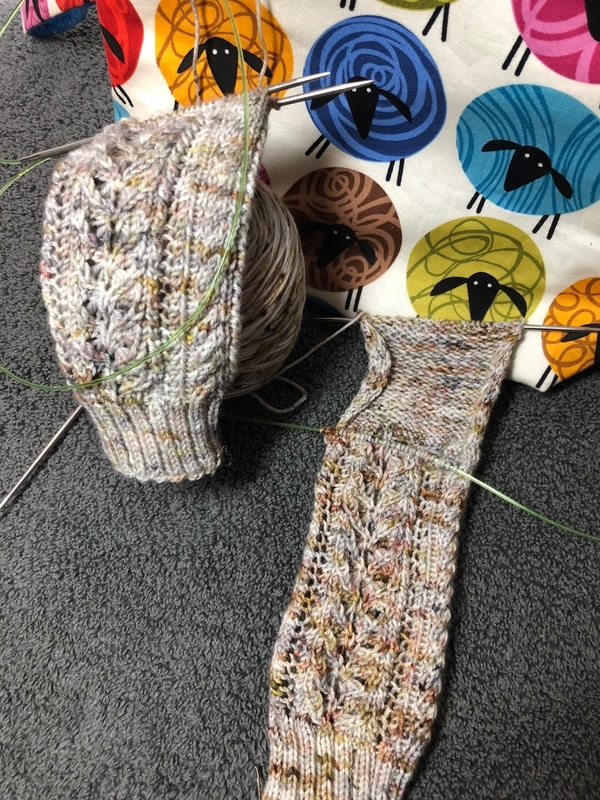 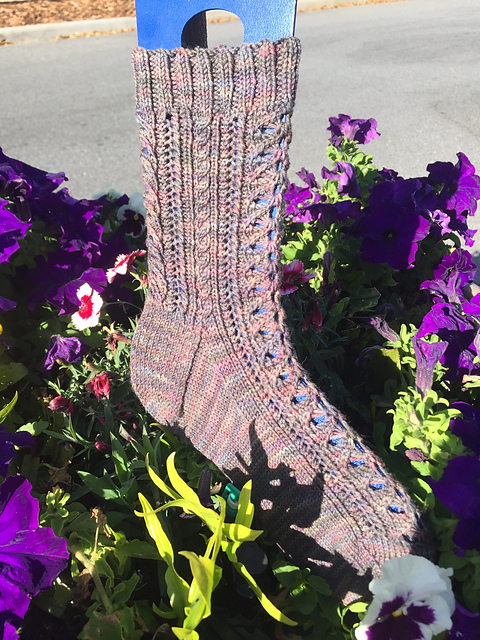 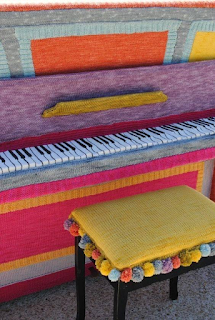 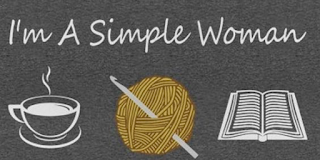 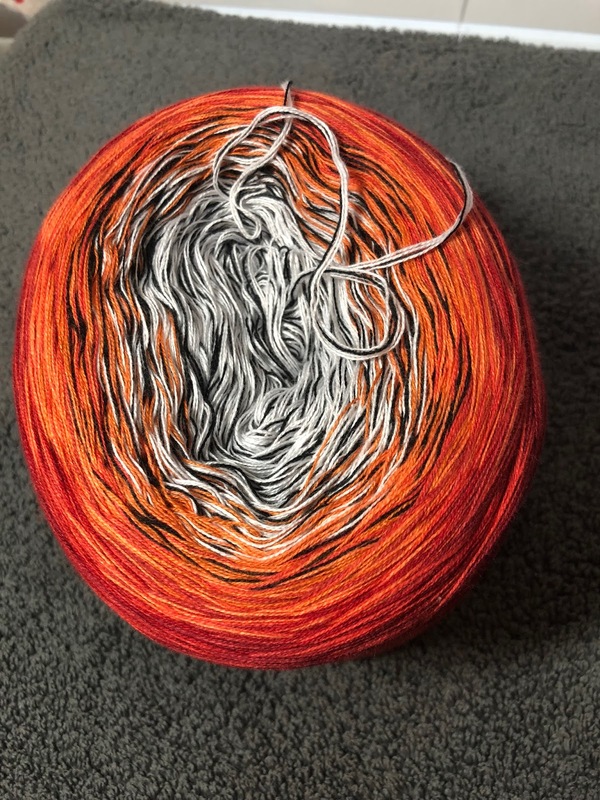 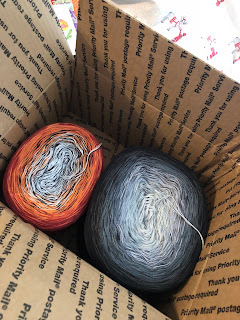 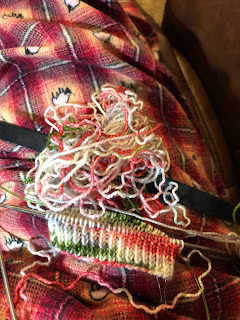 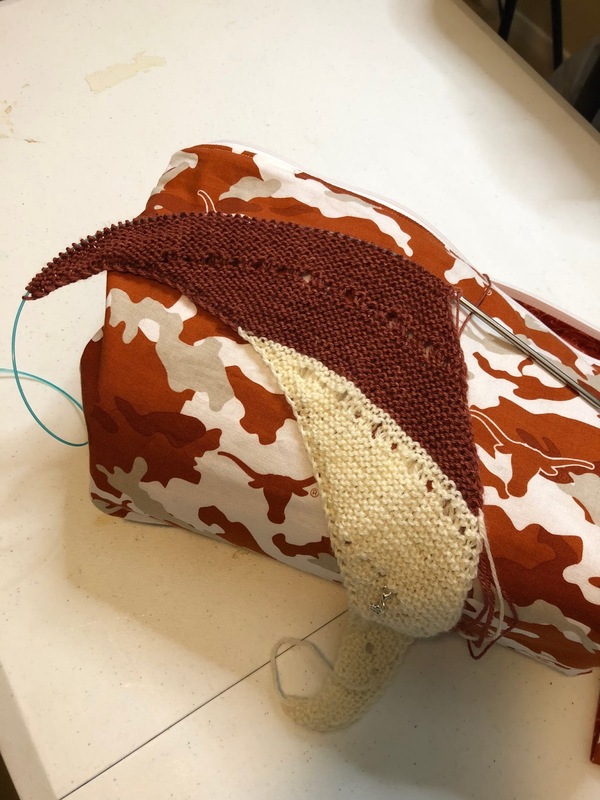 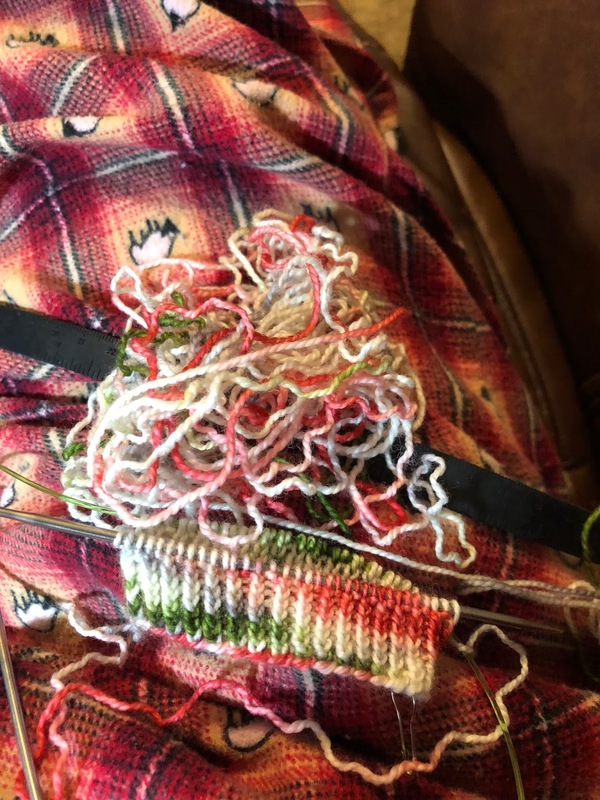 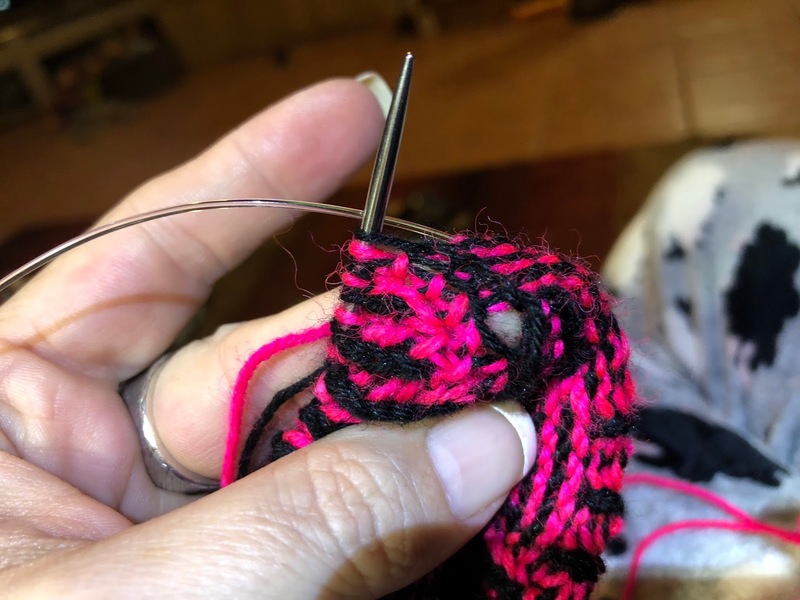 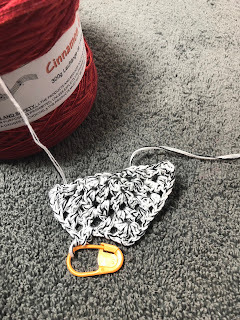 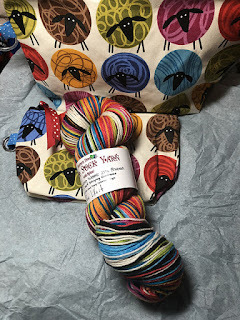 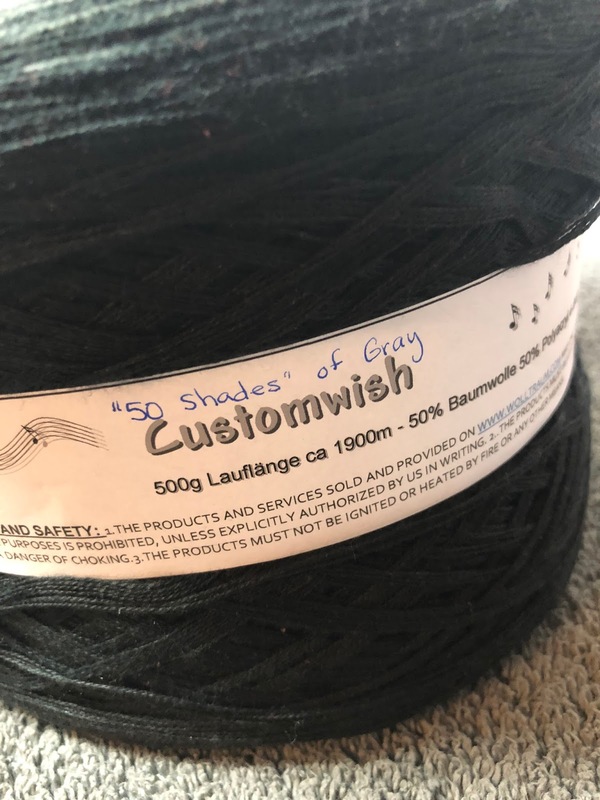 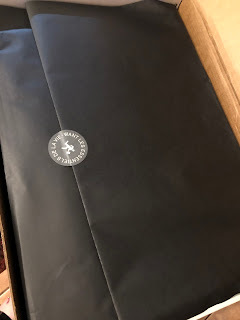 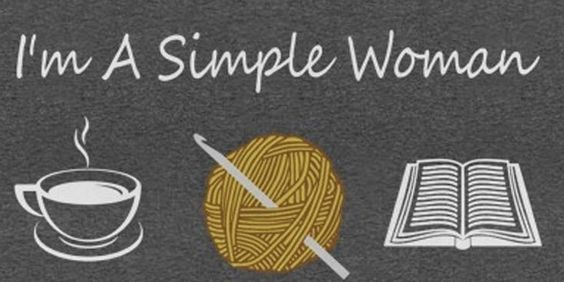 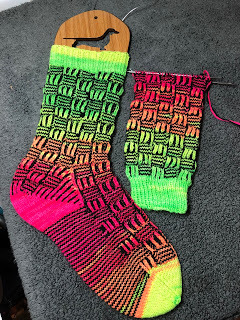 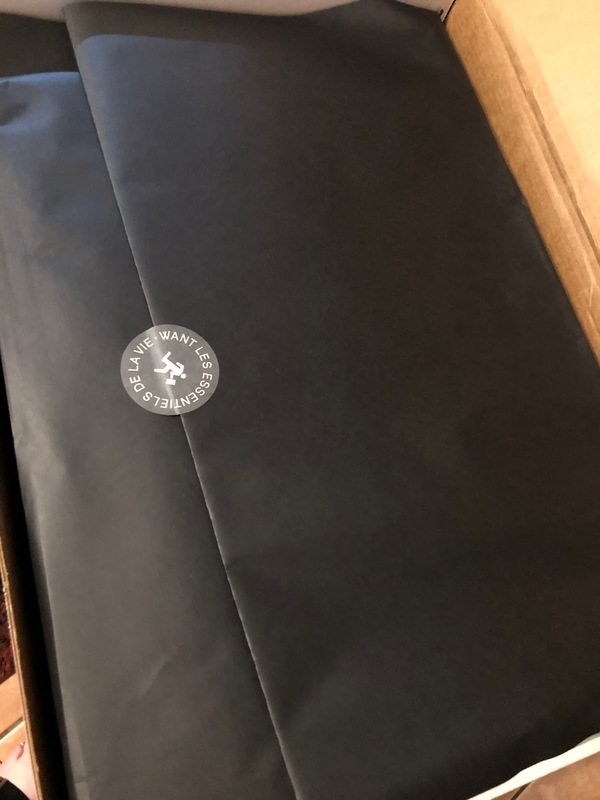 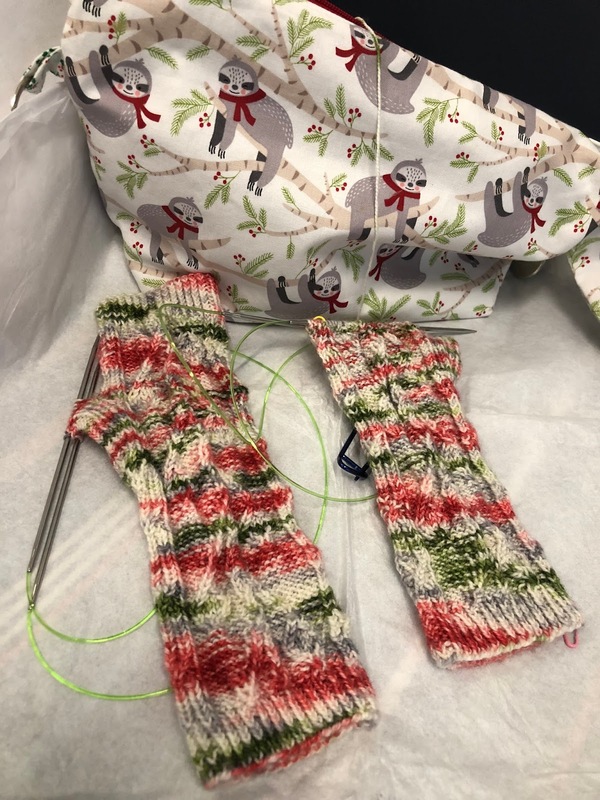 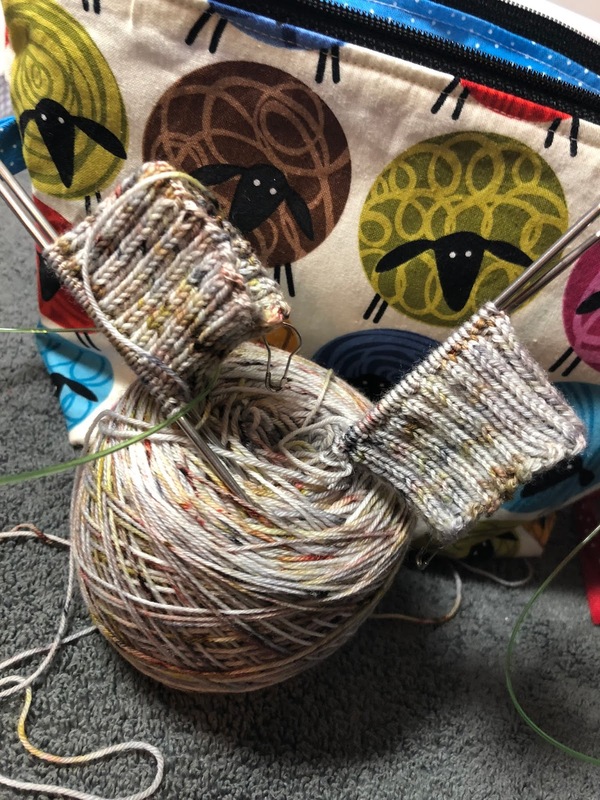 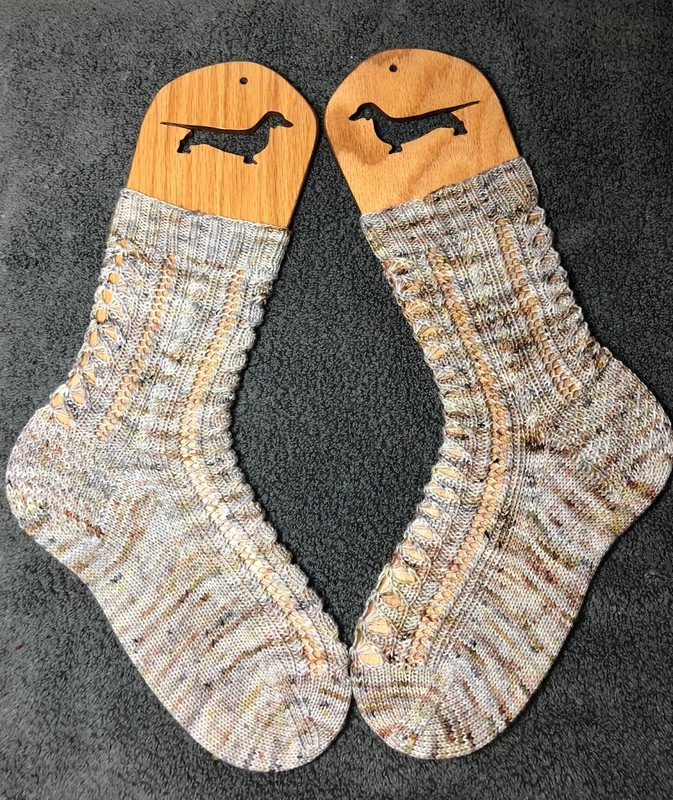 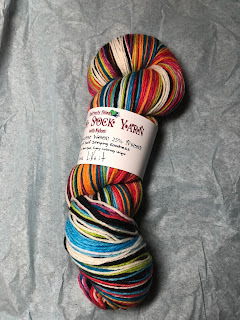 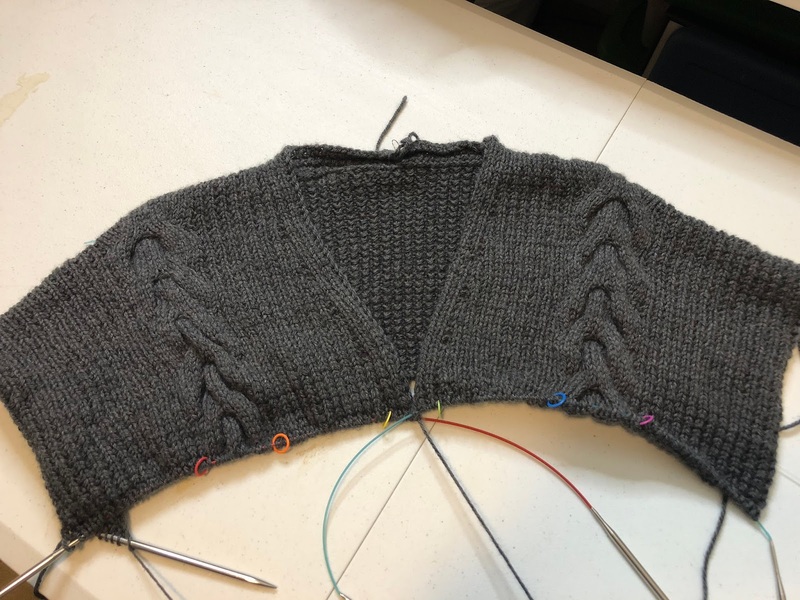 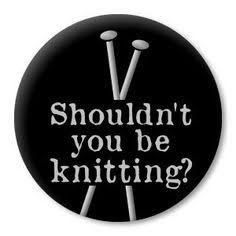 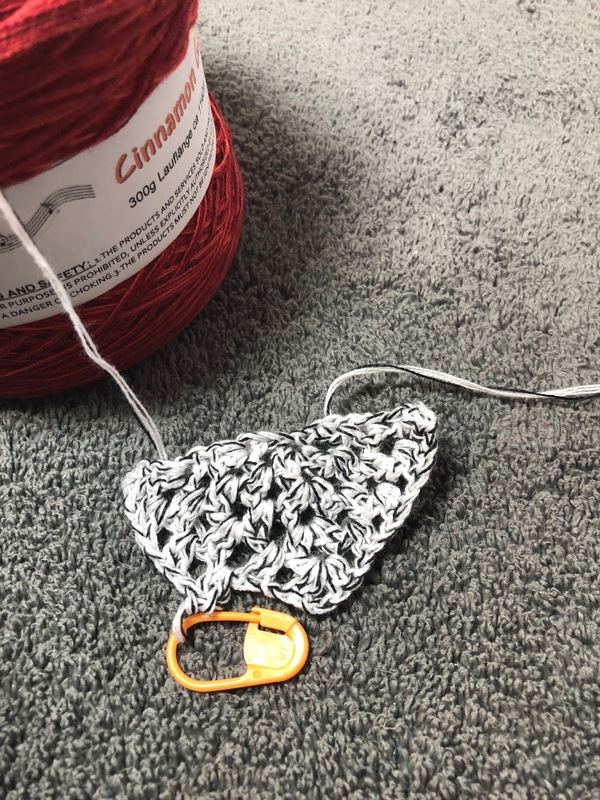 This week was monogamous knitting and while I have said in the past how it might be nice to be a monogamous knitter....it kinda makes for a boring blog entry.......sorry guys....all I got are socks! 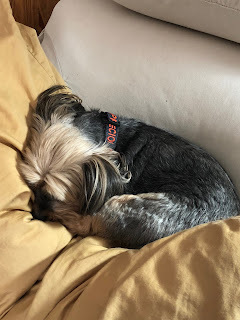 As of this blog posting there are 6 total spots left in round 3 (across all teams...2 left in my team). When I started this, I really never thought I would finish Round 1, so I am thrilled to make it to round 4....but I think this is really it for me (I know I said this on other rounds)...but my hands hurt and I have so many other things I need to knit on......Socks for family and Christmas knitting already (look at me planning ahead)! 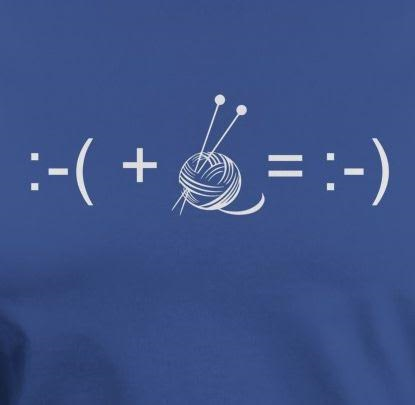 Hi everyone....how has your week been? 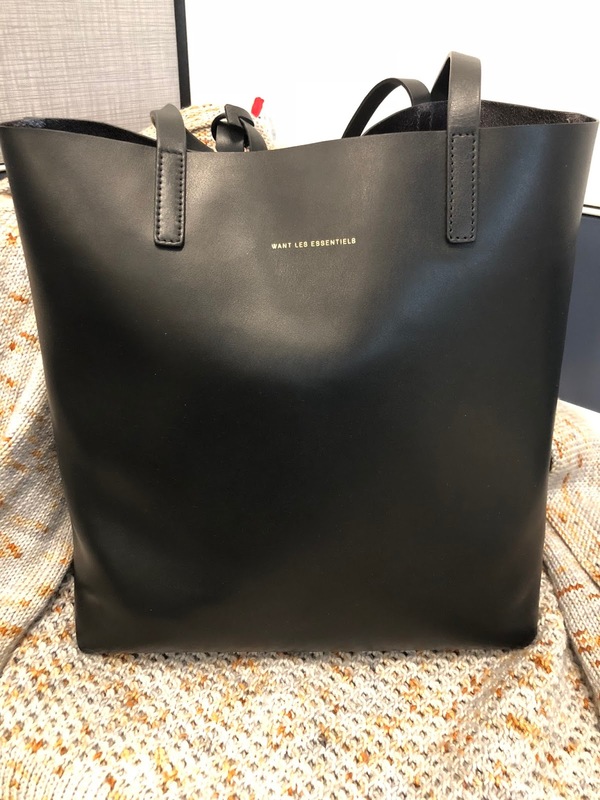 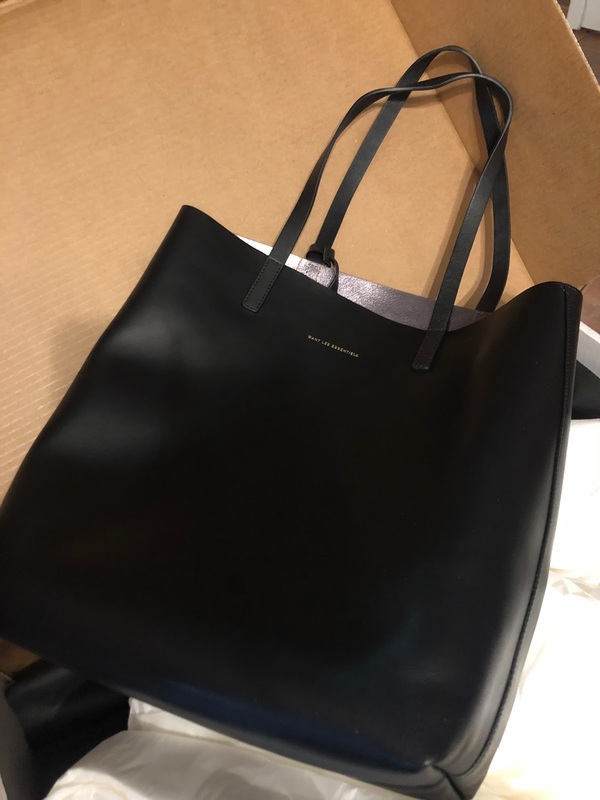 Mine has been pretty good...except Paige had her purse stolen from her car Saturday night/Sunday morning.....I told her she was an idiot for leaving her purse in her car while out with friends....so hopefully lesson learned. Then there is some new yarn I just got.....Darlene has a customer that sent her 2 skeins of Regia 4 ply self striping yarn and the colorway is of the German flag....when I mentioned this to my mom, she said "I may have to call Tante Mecki to get me some of that yarn so you can make me some of those." 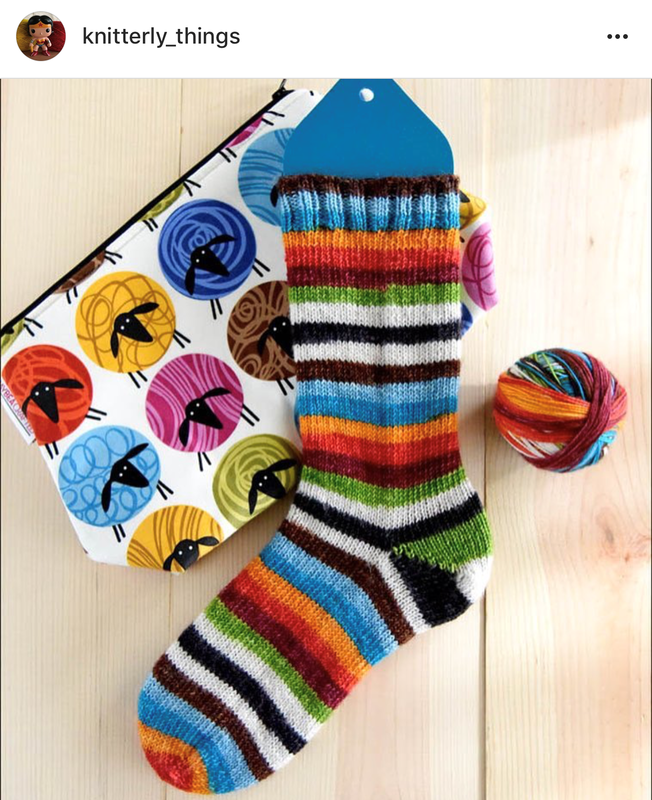 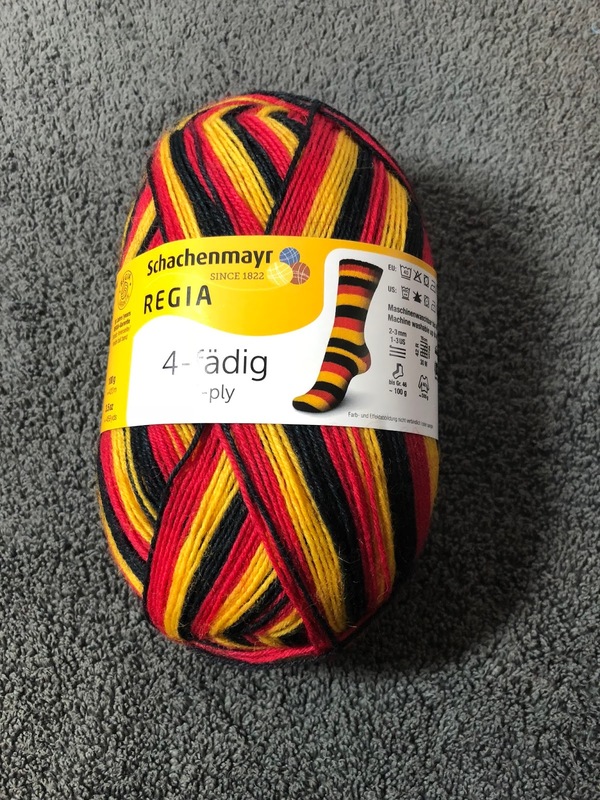 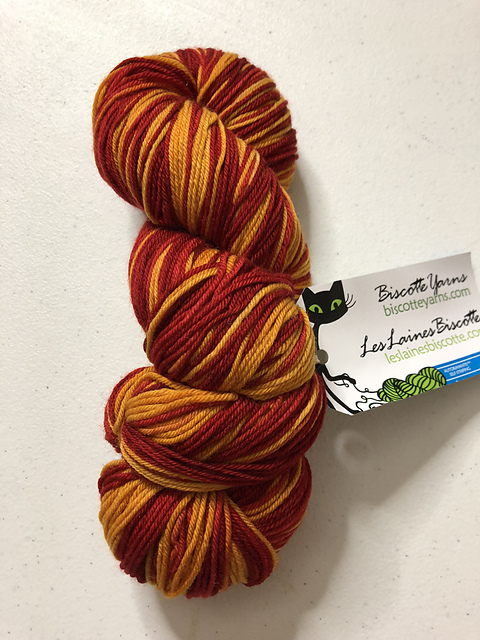 My mother has never really 'asked' for me to make her anything and if she said she is gonna call her sister for yarn like this, then I know she will love these socks....so I told her no need to call Tante Mecki....I will make her socks with this yarn! 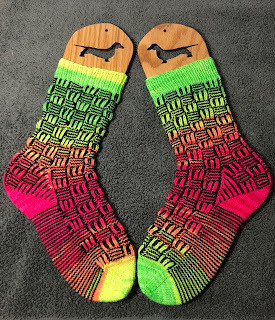 So again...another pair I need to make! 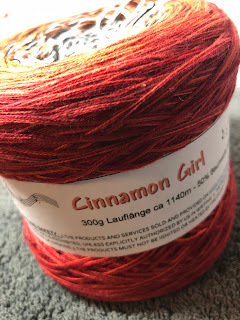 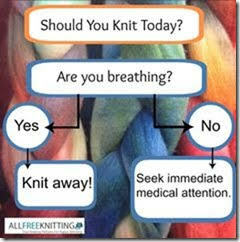 I am using the Cinnamon Girl for the Augusta shawl...and I am thinking of a large Jacket/vest for the grey. 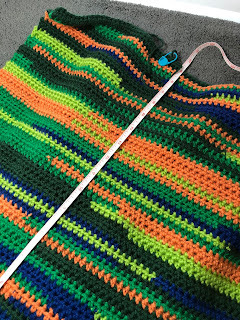 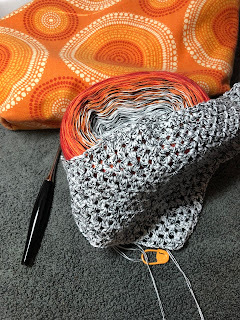 Since I was working on the Augusta Shawl and it is crochet.....I thought that I should also catch up my temperature blanket....it is almost 20" :) I am caught up all the way to the 21st of April! 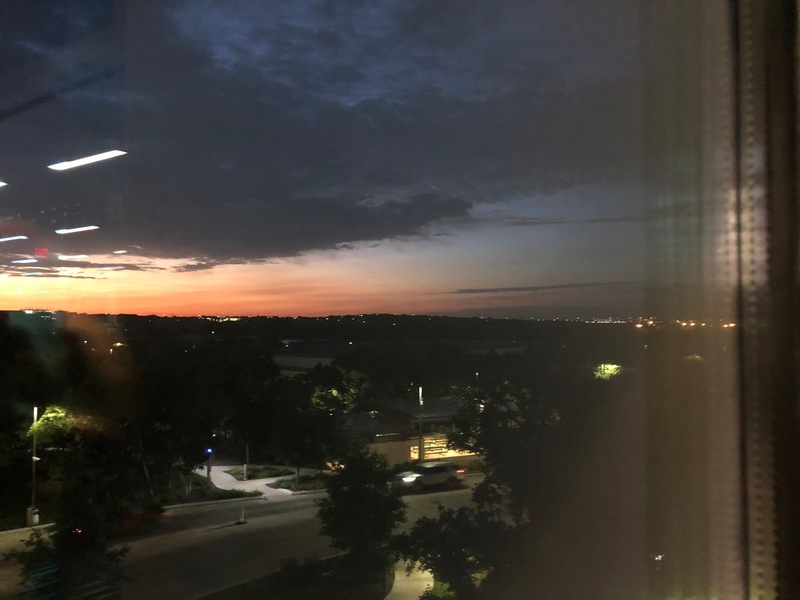 and I leave you with this morning's sunrise view from my work....Have a great week!